Now that Christmas is over and my photo book gift has been given out to my family and closest friends I would like to reveal it to my fellow readers. My travels to Singapore, New York, and San Francisco this year have inspired me to get back into photography. This book is the rediscovery of finding photography and capturing art in photos. The book was photographed, written, and designed by me. Enjoy! For a better view of my book click the full-screen icon on the bottom right. After going through the archives of family photos for the Janke family side for the 100 Year Janke slideshow I put together this summer (original blog post here), my mom sent photos from the other side of my family tree (Sturm). I love vintage photographs but the ones where there is a story are even better. Below are some of the photos I would like to share. 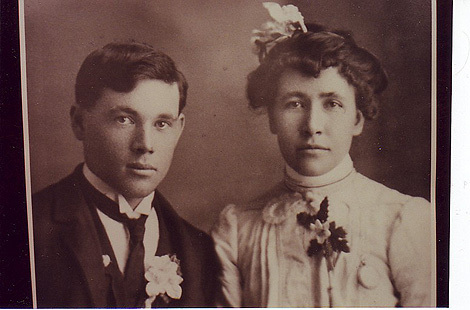 The wedding picture of my maternal great-grandparents Fred Sturm, Sr. and Bertine Helgeson married 5 Feb 1905 in Sweetgrass, Montana. At age 21, my great grandmother Bertine Helgeson, immigrated from Norway to the United States. Bertine was child #8 in a family of 13 children. 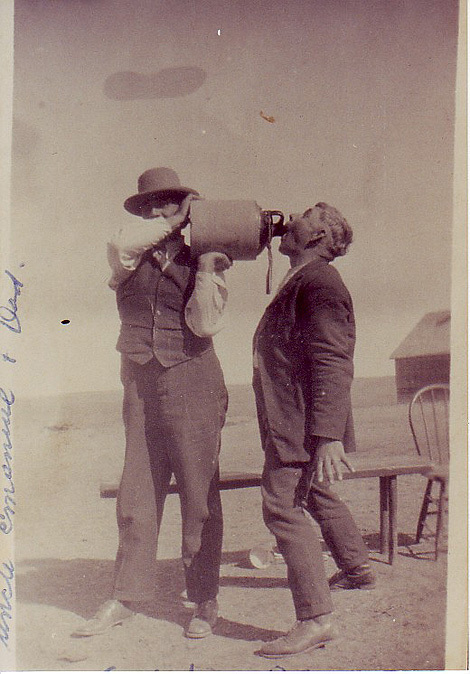 The one of the two gentlemen hamming it up with the jug (of wine, supposedly) has my great-great uncle holding the jug and my great-grandpa Fred Sturm, Sr. taking the drink. The photo was taken September 1929 during a wedding celebration. 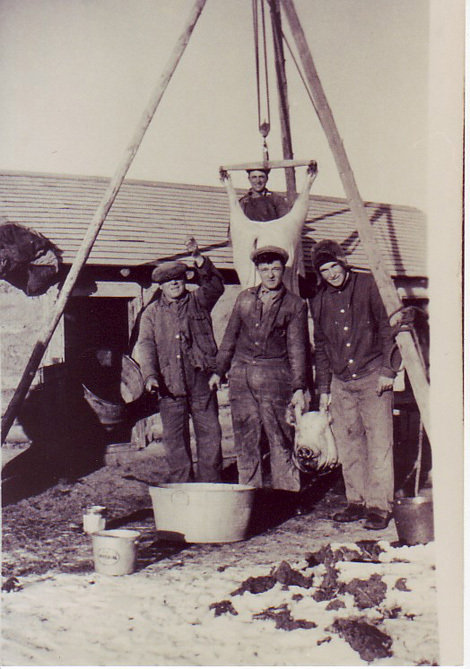 Here is the one from the 1940s with my great-grandfather at far middle back and my grandfather at right butchering a hog with neighbors on his farm. It is true that modern day people can not even relate to all the work that food production really took in earlier times. For all the design geeks out there last week was the release of Pantone's Color of the Year. The "it" color for 2011 has been named Honeysuckle, a dynamic reddish pink, according to Pantone. The thought behind the color is it signifies the return of a better economy and a more confident future. The rosy shade will appear on everything from wedding dresses to kitchen appliances to custom VISA cards. @pranavtee Pantone's color of the year is honeysuckle. Honeysuckle, *smirks*. Also, that's just a fancy name for pink. Honeysuckle replaces Turquoise from 2010, Mimosa from 2009, Blue Iris from 2008, and Chili Pepper from 2007 since the inception of "Color of the Year". Recently familiarizing myself with web interface and usability design, I have been asking the question "what makes users click and navigate through a website?" As a designer it is important to understand the user's demographic information including gender, race, age, income, computer ability, educational attainment, home ownership, employment status, and even location. It is also beneficial to know what makes for easy usability through navigational structures and clear linkage. This is usually where a designer leaves off with understanding their user. It is even more crucial that we immerse ourselves in making sense of how our users think subconsciously. 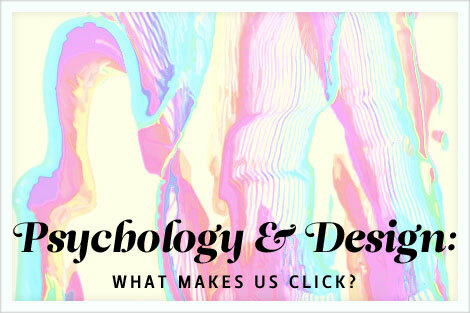 Understanding how the brain functions can help designers better understand the impact of their actions and increase the amount of visitors into customers. Online decisions stem from subconscious processes. Our brain is actually composed of three layers that have grown from birth. All three parts of the brain depend on one another. Reviews, Facebook, and Twitter are all methods of social validation. Users look to other users to validate their choices. Product reviews on websites that provide user profiles allow others to connect with the review. They can identify with the reviewer and in turn identify with the review. This connection will make the review more powerful and influence the user who is on the fence about a buying decision. The number of comments and subscribers validates the blogger or tweeter as an authority or an expert in the field they are interested in. The advice and the comments are considered from the source. Websites that provide information or something for free with no sneaky survey or access to your personal information are tying into a user's value system or the mid brain. Subconsciously "If you do something for me I feel indebted the need to give you something back." You have to create credibility and proof that your product or service is of value to the customer before they can trust you with their personal information. The old brain of survival is afraid it will lose out. Fear is a very powerful emotion because it deals with survival. Our brains respond many times with fear when it may not be as pertinent. Promotions such as limited time offers or a limited supply causes the user to take action. To enforce this tactic on your website you must stand by what you preach, so to speak, and only offer that limited time offer in the time frame you have specified. If users discover the limited time offer is not so limited this tactic will backfire. Emotion signals influence most of our actions. The rational part of the brain would take forever to make decisions without emotions. After a decision is made the newer brain takes credit. Images, style and copy are critical to emotional connect with the proper demographic and create credibility. People tend to process information in a story type format. This includes a title, lots of photos, and engaging copy. As the navigational and grid layout of a website is crucial, elements tying in to the emotions are equally as critical to relate to the audience. The audience needs to think that they are that customer or they want to be like the model in the photograph to drive their purchase decision. Being aware of a user's conscious and subconscious processes is equally as important in creating a winning website design both visually and interactively. I'm feeling more in the Christmas spirit now that our tree is up in the front window. It's this time of year that I actually enjoy the snow on the ground and cold in the air. After the annual tradition of stabilizing the real tree in its stand (the tree must fall at least once), the decorating is always the easy part. 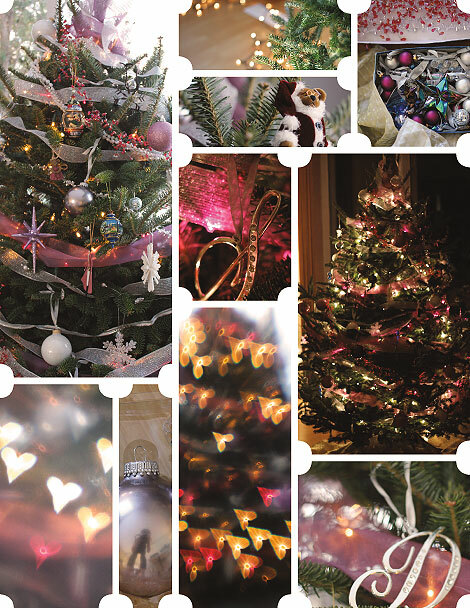 The tree uses a mixture of purples, pinks, whites, and silvers, with a little hint of blue. And, yes, I have rhinestone metal monogram ornaments to add at least some typography into the design! 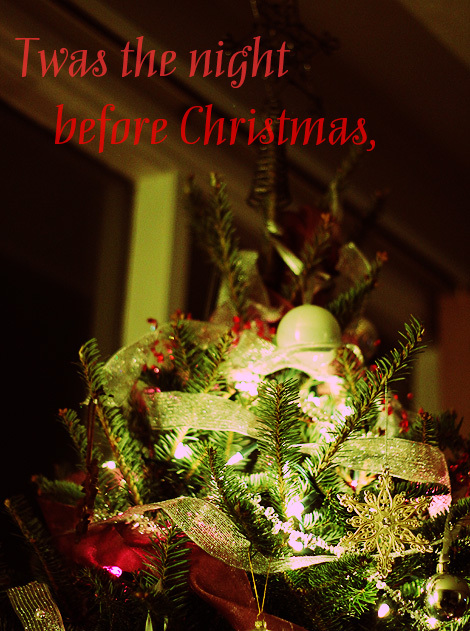 Here are some photos of our Christmas tree for 2010. Prior to the invention of photography, silhouette profiles cut from black card were the most economical way of recording a person's appearance. As photography became accessible, the silhouette became more of a stylized artwork form of the human portrait. It is interesting to see the evolution of the silhouette in modern graphic design. 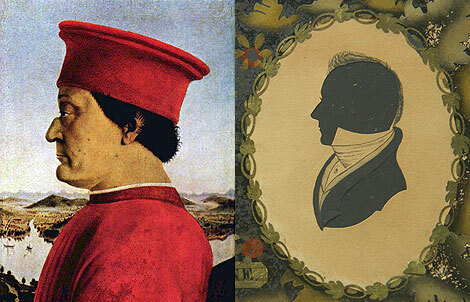 The early Renaissance period saw a fashion for painted profile portraits and many famous people in profile. Considered to be the most famous profile in fine art, Portrait of Federico da Montefeltro, Duke of Urbinn (1465-66) was painted by Piero della Francesca. In the early 1800s, William Chamberlain made hollow silhouette cuts utilizing a technique of partial cuts of heads and busts. He then applied an ink wash for the hair and neckline details. The first modern graphic design silhouette profile was created during the Hippie revolution. 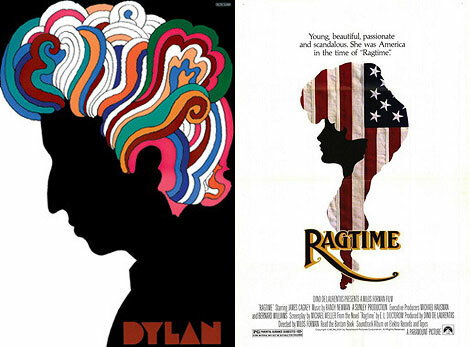 Milton Glaser's Dylan poster bridged the transition between the traditional silhouette form to a form of expression. The classic image of Dylan's profile with flowing technicolor locks has become one of the icons of the Sixties. The movie poster for Ragtime, 1981 weaves the lives and passions of a middle class family into racial tensions, infidelity, violence, and other nostalgic events of 1906 America. 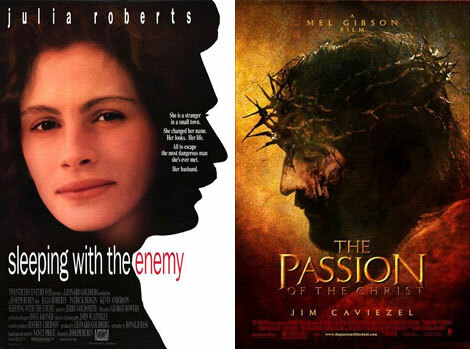 Over the last twenty years the silhouette has been a common element in film posters, almost cliche. This is due to the fact that the silhouette can convey emotion, drama, and mystery. And who can forget the silhouette style of Apple Ipod silhouette commercials? Featuring dark silhouetted characters against bright-colored backgrounds that are usually dancing, these television commercials are backed by up-beat music. The silhouettes are also usually holding iPods and listening to them with Apple's supplied earphones. These appear in white, so that they stand out against the colored background and black silhouettes. Apple changes the style of these commercials often depending on the song's theme or genre.